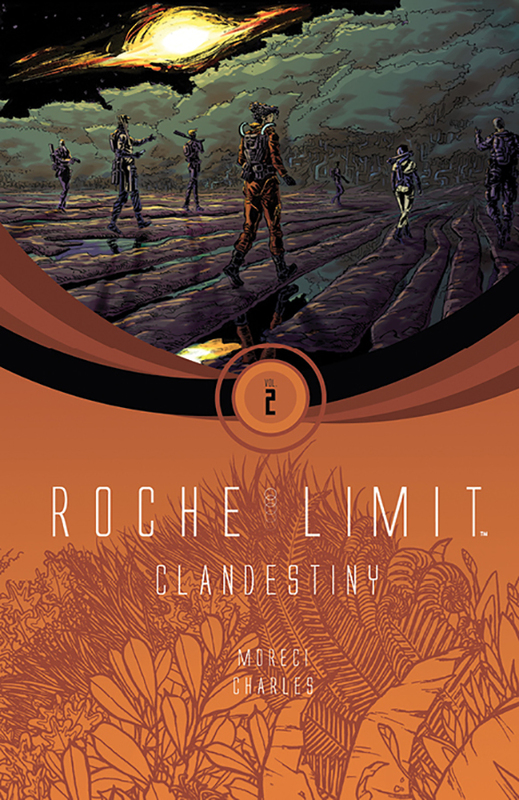 Set seventy-five years after Roche Limit’s first arc, “Clandestiny” follows an exploration team sent to deliver a cargo load to the now desolate, abandoned colony. The dangers that led to Roche Limit’s demise remain, however, and they have evolved. Much of the arc concerns itself with themes around reality and belief—it asks whether a fiction, if desired and believed deeply enough and acted upon, is any less real than the physical world. In that regard, Moreci leans into the horrors that he hinted at in the first volume. Charles and Mattaglia’s art straddles the line between gorgeous and frightening. There are times when Roche Limit feels inscrutable. Most of those times are by design, and I’m hoping that its third and final arc will fill in the gaps I still have in what’s going on.